Shabbat is the clock for Jewish living. In the story of creation in the Book of Genesis, we are taught that the world was created in six days, and the seventh day-the final day of creation- was ordained as a day to rest from one’s labor. A remarkable idea that we become more Divine when we stop our endeavors, and simple appreciate all that we have. 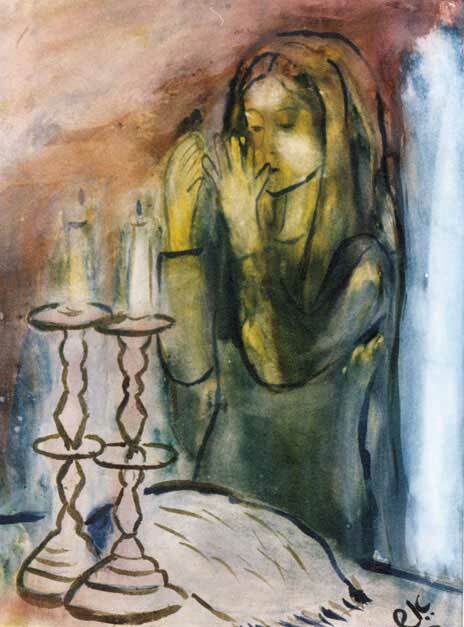 Shabbat is the premiere time for us to come together as community, cease our labor, rejuvenate our souls through the gifts of friendship, song, prayer, learning, eating, and community. Erev Shabbat is a joyful experience of communal prayer, singing, and socializing. From autumn through spring, services are at 7:30 p.m. The First Friday of each month (which we call FF-TBT,) is a beloved communal event that begins with a 6:00 p.m. Tot Shabbat service, followed by the opportunity for community to come together for Shabbat dinner at 6:30 p.m. A Shabbat Service for the entire community commences at 7:30 p.m. And of course, an oneg follows, as we embrace the notion of relaxing over coffee and sweets, catching up with friends, and making new acquaintances. Shabbat morning is an open, intimate, informal “minyan” style service, beginning at 10 a.m. Our Torah reading includes an English translation. At 11:30 p.m. is a Torah study, held in the library over Kiddush. Torah study is always participative, interactive, and bridges the insights of Torah with contemporary issues, and personal growth. Check our temple calendar for service times – in summer, Erev Shabbat is often held at 6 p.m. in our outdoor atrium. It is not uncommon for us to schedule services at a nearby beach or park.